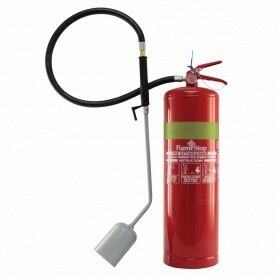 Specialised Portable Fire Extinguishers There are 2 products. FlameStop’s Specialised Portable Extinguisher is designed to combat Class D fires. 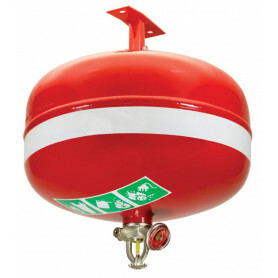 It is available in a 9.0kg steel cylinder. The unit comes with a 1.6m (approx) large length discharge hose, providing greater safety to the operator regarding the irradiation of heat and inhalation of burnt toxic gases. FlameStop Automatic Extinguishers work using a specially modified sprinkler valve which bursts at 79˚C. Ideally placed above flammable liquid bays or dangerous goods areas.